Continental, c. 1890. 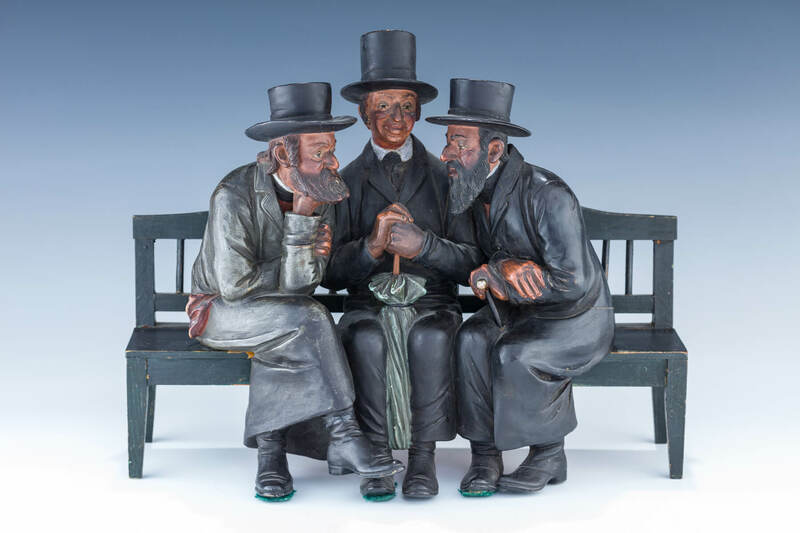 Three Jewish men on the original wood bench in conversation. 10.7” wide.